Can You Tell the Difference Between a Fake Diamond and a Real One? Technologies for developing artificial diamonds are continuously improving, so much so, the industry is at a bit of a crossroads. 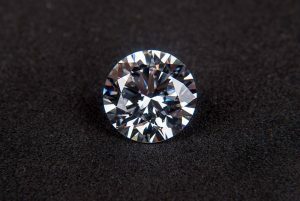 Nearly as much money that is being poured into real diamonds is being invested in the fake diamond industry and for good reason, as it is extremely difficult to tell the difference between the two. The science team from The Verge recently spoke to experts Wuyi Wang and Tom Moses at the Gemological Institute of America, in addition to visiting the showroom at Brilliant Earth, where both real and artificial diamonds are made with one overriding question. With billions of dollars flowing into both industries, how will consumers adapt as we move into the future?